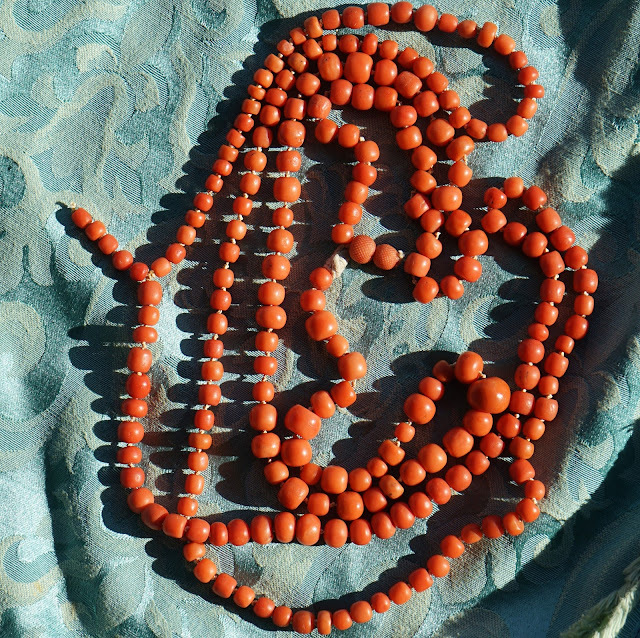 Newly listed at my store Uchizono Gallery. 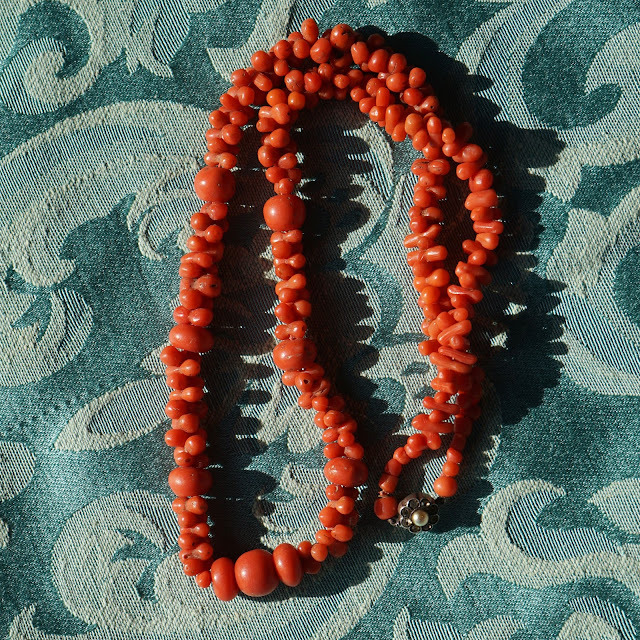 Victorian coral necklace with high profile cameo clasp. 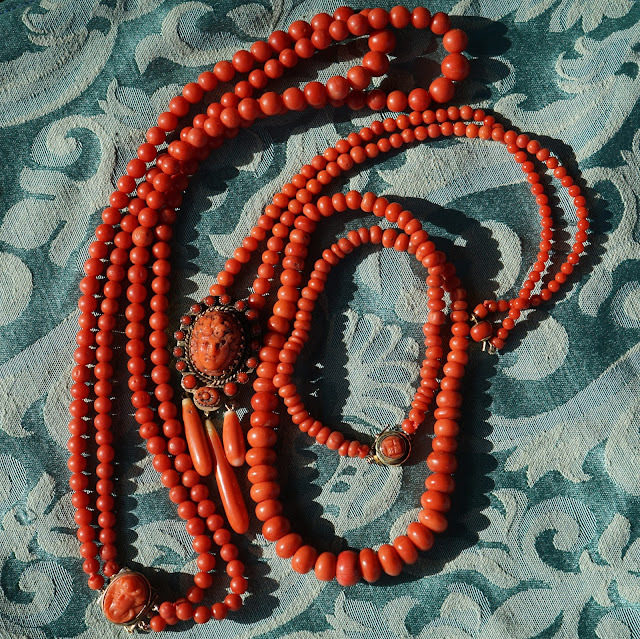 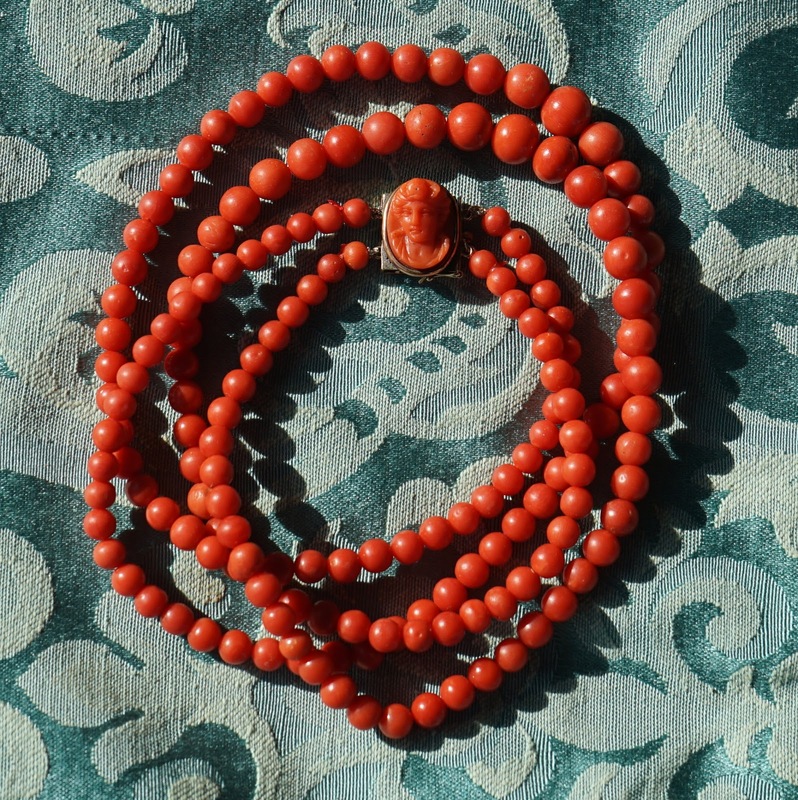 Two very long orange Victorian coral necklaces featuring large beads and deep color. 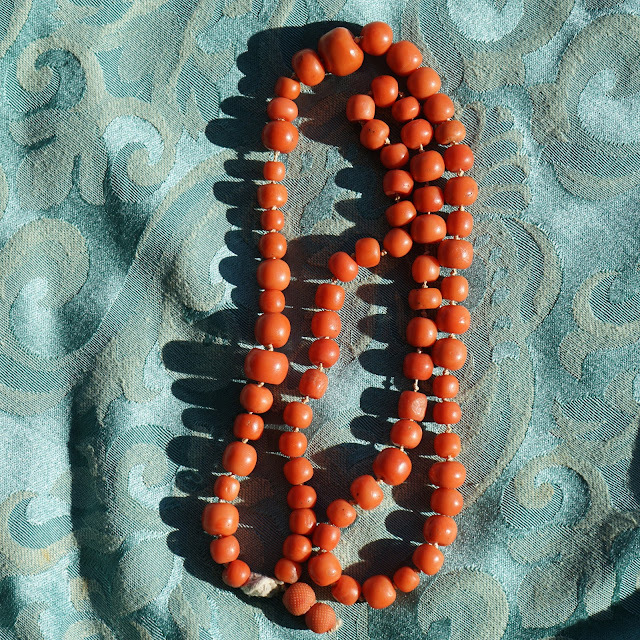 Victorian Orange Coral Necklace featuring large coral beads. Victorian dog bone coral with large coral large, fat, rondelle beads and a flower clasp.